Freshly-approved by the FDA, US markets are about to get their first taste of powdered alcohol. So, basically, we're all about to be treated to grown-up Kool Aid. I'm pretty sure I can hear Rebecca shouting with glee from Texas. 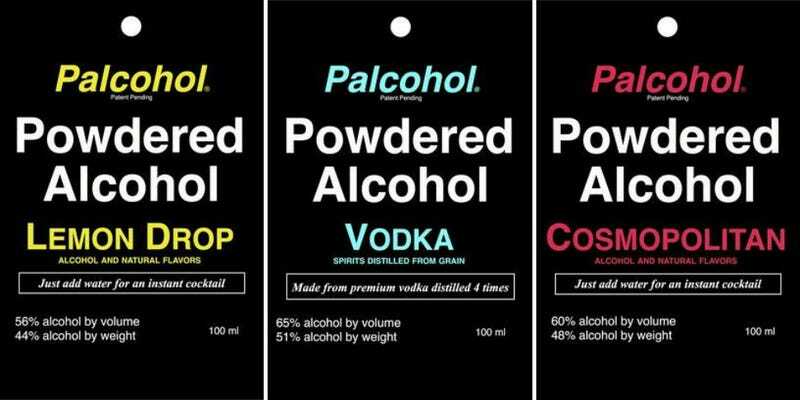 The US government has given approval to Palcohol, a patent-pending brand of powdered alcohol that would be the first of its kind (at least within the States). They're apparently going to be available in seven flavors, from simple Rum and Vodka to more complex mixes such as Lemon Drop, Kamikaze, and Cosmopolitan, all of which the company expects to hit shelves by Fall 2014. The funniest part is that the brand's website acknowledges that people snorting Palcohol is a possibility, but they suggest that people buying the products "not do anything stupid with it." OK. Sure. I'm positive that someone idiotic enough to snort crystallized Cosmopolitan is going to be dissuaded by your careful crafted "hey, don't be dumb" argument, Palcohol.